We are now offering day tickets for the 19th June. Plus 12 workshop options and an optional post-conference masterclass on Consolidation. 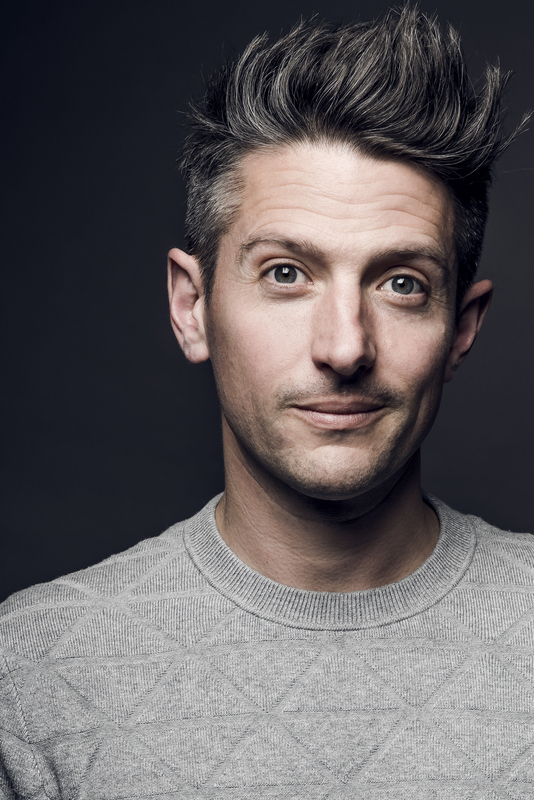 Stuart Goldsmith has been a professional full-time standup comedian for the last 12 years and spent the last 7 of them hosting a podcast where he hosts in-depth interviews with famous comedians about their creativity. His presentation’s primary focus is practical advice and insights to take away and will explore strategies to learn, develop and perfect resilience, harvested from conversations with famous comedians who are simultaneously the most powerful and the most vulnerable people in the room. 2 hours of Mandatory Professional Skills can be claimed at the Pensions Conference. Key aspects of the Government’s new legislative and regulatory framework for CDC. The wide range of potential CDC benefit designs including master trust designs. Options for CDC valuation assumption setting powers and the actuary’s role in decision making. We’d be interested to hear views from the audience on the various CDC design options. A2: Why Climate Change is a Survival Issue for Pension Schemes: The Maths! With climate change rapidly moving into the ‘must do’ category for pension schemes, this collaborative talk from the IFOA and Ortec Finance gives a high level overview of how schemes can approach this – going beyond explanations of what climate risks and opportunities are to present a methodology for translating these to scheme level funding impacts. Climate scenarios - covers what climate scenarios are, the very serious implications of an additional degree of warming and thoughts on probable, rather than possible, climate scenarios. Capital market impacts - a description of the dynamic link between different climate scenarios, covering both macro-economic and stock level impacts. Quantification - a methodology for linking climate models to traditional financial models or economic scenario generators typically used for pension scheme asset-liability modelling. This talk looks at various ways of setting long term interest rate targets and explores their implications for asset return projections. We look at methods based on market fundamentals, econometric forecasting techniques and targets based on forward rates. For each we consider the practical methods of implementing a particular approach and the practical implications when implementing such an approach. We also discuss several approaches for setting the interest rate volatility targets and the importance of maintaining consistency between the central assumption and the volatility assumption. We also touch on the importance of expert judgment in forming and validating any final assumptions. Attendees should leave the workshop with a good understanding of the common techniques and considerations when setting targets for interest rates. Actuaries are frequently involved in debates about pension provision that are increasingly framed in terms of a ‘generational conflict’ over social resources. The ‘Baby Boomer’ generation – a large cohort currently at retirement age, some of whom had access to relatively generous pensions – is targeted as the problem, while younger generations are presented as unfairly having to shoulder the burden of the elderly. Campaigners for ‘intergenerational equity’ claim that a reduction in pension entitlements will lead to greater fairness between the generations. I will draw on my research into this claim to argue that on the question of pensions, as with other aspects of this debate, economic and political problems are being wrongly reposed as a conflict of generational interests. I employ the concept of ‘doomography’ to show how reductions in pension entitlements are presented as a necessary response to a natural crisis, while a ‘gerontophobic’ narrative frames older people as the ‘undeserving rich’. Such arguments both incite resentment against the old, and compel young people to expect less from their own pensions. Throughout the presentation James will share Aon's most recent statistics of various options. Recent mortality in England & Wales and its implications for users of the CMI Mortality Projections Model. This session will be as interactive as possible with questions being asked both during and at the end of the presentation. The LPI risk working party was formed in 2018 bringing together actuarial professionals working across the finance and investment industry. Current members include actuaries representing pension and investment consultants, insurers, asset managers, market data providers and academics. The working party's main aim is to improve the understanding and transparency around the assessment of the inflation sensitivity of LPI-linked liabilities. This is an area that to date has had limited public research and general understanding of, resulting in a divergence in methods. During this session, the working party will present a simple framework for use by all interested parties including Pension Scheme Trustees. This will cover key aspects of the valuation of LPI-linked liabilities and the inflation sensitivity of the resulting cashflows. LPI risk, for context, will be set alongside the other risks/decisions that a Trustee/Actuary is required to make with regards to the valuation and hedging strategy of a pension scheme. Summary: In this session Andrew will use highly-detailed geographical population data from the Office for National Statistics to assess what socio-economic and other factors drive mortality rates. Andrew will investigate what types of information about where you live affects mortality and life expectancy. - Geographical covariates for each LSOA. Andrew will discuss first which combination of covariates have the strongest predictive power. Second we will investigate how much regional variation there is in our resulting models: is region a genuinely significant factor in the level of mortality or is observed regional variation simply reflecting differences in the socio-economic makeup of local populations. The use of advanced statistical methods will allow us to investigate how much variation there is across England in mortality rates and life expectancy. We canthen use that to inform mortality assumption setting in pension scheme valuations. The underlying research is part of the research programme "Modelling, Measurement and Management of Longevity and Morbidity Risk" funded by the Actuarial Research Centre of the IFoA. Papers will be available closer to the conference.